If you’re starting out in 2011 looking to take your facial cleansing routine to the next level, then start with the most basic step…cleansing your face. And to help you do that more thoroughly than basic cleansing alone, the experts at Olay Professional X have introduced the Pro X Advanced Cleaning System. 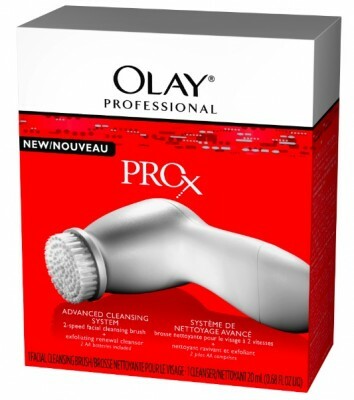 The Olay Professional Pro X Advanced Cleaning System is an at-home facial cleansing tool that is designed to cleanse and exfoliate your skin. 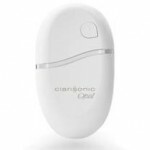 The tool’s micro-massaging action helps maximize the immediate hydrating effectiveness of your anti-aging moisturizer, remove dry skin cells and promote cell turnover. I was sent a Pro X Advanced Cleansing System to try for myself. The package contains the unit, a brush head, a tube of exfoliating cleanser and 2 batteries. After applying the cleanser to wet skin, you take the brush and sweep across your face for 60 seconds. The cleansing unit has two speeds. I didn’t find the bristles to cause any irritation; something that was a concern for me (note: if you have sensitive skin, using any kind of facial cleansing tool should be cleared through your dermatologist). I felt that the Pro X Advanced Cleansing System did a good job of cleansing and exfoliating my skin without irritation and at $29.99, the Olay Pro X system is an excellent value. The only issue I had was that I found it really difficult to insert the batteries into the unit! Because comparisons will be inevitable between the new Olay Professional Pro X Advanced Cleansing System and the Clarisonic®, let me give you my thoughts. The Olay Professional Pro X Advanced Cleansing System is smaller and lighter and is basically an automated rotating brush compared to the Clarisonic, which uses sonic micro-massage action (300 movements per second). 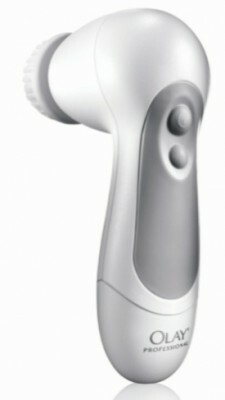 In terms of size, the Pro X is similar to the Clarisonic Mia. The Olay Pro X Advanced Cleansing System works on batteries and the Clarisonic is rechargeable. The Olay Pro X uses an exfoliating cleanser (you can feel the beads in it), which is not recommended for use with a Clarisonic. 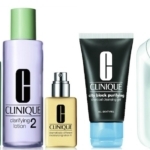 Both products are able to be used in the shower, although the Olay Pro X unit is considered water-resistant, while the Clarisonic is waterproof. And both products clean skin more effectively than manual cleansing, although there are no head-to-head studies of the products available at this time. The Olay Professional Pro X Advanced Cleaning System has a suggested retail price of $29.99 and is available at drug, discount and mass merchandisers. 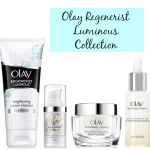 You can find more information at www.olayprofessional.com. Don’t miss the final installment of the Beauty411 Skincare Jumpstart series tomorrow! 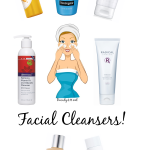 Facial Cleansers to Reinvigorate Skin!